Drop Zone Paintball Welcomes You! Our 23 employees set us apart with HIGH QUALITY SERVICE. We continually test and review paintball gear so we can keep you informed about what works and what doesn't. Our techs are available by phone, email, and live chat to answer your questions about paintball and paintball gear. OUR SERVICE, EXPERT ADVICE, AND SUPPORT will ensure you have a great experience. 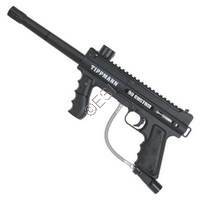 Our ONLINE PAINTBALL STORE STOCKS all the major paintball brands like Tippmann, Empire BT, Dye, Kingman Spyder, and Planet Eclipse, as well as many specialty brands like TechT, Virtue, Voodoo, and more. 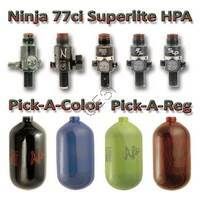 We are certified technicians for all paintball guns we carry and have a full inventory of replacement parts and aftermarket upgrades to support your purchase. If you don't find something, let us know and we will test, review, and stock it. The Drop Zone Paintball Park is one of the oldest PAINTBALL PARKS in the country (opened in 1989) featuring 89 acres of wooded ravines and netted tournament fields. If you are in the Kansas City area, come on by for a great day of play. We also have a retail showroom stocked full of thousands of paintball items. If you are driving across the country, a short jump from I-70, in Lawrence, Kansas. We have a full range of REPAIR AND MODIFICATION SERVICES. We are happy to help you figure out what paintball gear will work best for you, help you diagnose a paintball gun repair, or you can send your paintball gun to us to get fixed by our certified technicians. Want paintball mods installed on your existing or new gun? We can do that too! Please also visit DZ Discs, our online selection of Disc Golf discs and gear, with detailed search filters to get the exact disc you need.